Welcome to the Summer edition of our newsletter and the last for 2008. It's a bumper issue filled with a variety of tips and new information. The team at Corporate Express takes this opportunity to wish all our clients a safe and happy festive season. By now many of you would have acquainted yourselves with most of the 'horror story' that is the latest New South Wales budget. Charbel, our team member in charge of document stamping has recently attended a seminar presented by the Office of the State Revenue. As the OSR releases relating to the latest changes do not contain much detail we have provided below the information that was handed out at this presentation. Please note that we have only commented on the changes relevant to our industry and also to some of the services you may be providing to your clients. Duty on the creation of discretionary and unit trusts will increase from $200 to $500 in respect of documents executed on or after 1 January 2009. Nominal duty payable on duplicate documents has increased from $2 or $10 to $10 and $50 respectively. Accordingly the duty payable on duplicate Deeds of Trust will increase to $10 in respect of documents executed or transactions occurring on or after 1 January 2009. The long awaited abolition of the duty payable on unquoted marketable securities and non-land business assets has been deferred until 1 July 2012. The abolition of loan security duty on property other than residential and investment housing has also been deferred until 1 July 2012. The rate of duty payable on unquoted marketable securities remains at 60 cents per $100 of value. In respect of a transfer of shares first executed on or after 1 January 2009 in a company that is not the legal or beneficial owner of land in NSW, the minimum amount of duty payable has increased from $10 to $50. For share transfers first executed on or after 1 January 2009 in a company that does own land in NSW, the minimum rate of duty has increased from $2 to $10. A transfer of shares first executed on or after 1 January 2009 pursuant to the terms of a will is liable for duty of $50, increased from $10. The duty payable on nomineeing transactions under section 59A of the Duties Act increases from $10 to $50 if first executed on or after 1 January 2009. From the 2009 land tax year, land tax will be calculated as follows. In respect of landholding below the value of $2.25 million the rate is 1.6%. If your client has a total taxable landholding valued above $2.25 million, land tax is calculated at the rate of 1.6% up to $2.25 million and at the rate of 2% on the value in excess of $2.25 million. In both cases the tax free threshold of $368,000 will apply and the tax will not apply to exempt land owned by your client such as the principal place of residence or primary production land. The rules relating to binding death benefits and self managed super funds have been clarified in Draft Self Managed Superannuation Funds Determination 2008/D1. The Draft Determination states that the rules of a SMSF may permit members to make binding death benefit nominations and such rules need not reflect the circumstances set out in regulation 6.17A of the Superannuation Industry (Supervision) Regulations 1994. The rules of the Deeds establishing Self Managed Super Funds provided by Corporate Express and drafted by Vale Legal Pty Limited have permitted the making of binding death benefits provided they conformed with the statutory requirements. In response to the SMSFD 2008/D1 Vale Legal Pty Limited have now amended their Deeds by removing the 3 year confirmation rule. This means that a binding nomination made under the amended rules can now be in place until death of the member or it is revoked even if it is many years later. We can now be contacted on our current number 02 9261 2100 or our new 1300 number - 1300CORPEX. Congratulations to Robert! This year Robert completed the Chartered Secretaries of Australia, Graduate Diploma in Applied Corporate Governance. Upon graduation early next year Robert will become a full member of Chartered Secretaries Australia. Based upon a recommendation received from Chartered Secretaries Australia, ASIC has released a guide to assist directors of small proprietary companies which are converted to public companies. The permitted changes of company type are set out in section 162 of the Corporations Act. Importantly the Guide reminds directors that an auditor is to be appointed within one month of the date of conversion to a pubic company. If directors have been advised by their professional advisers to change company type, Corporate Express can assist in providing all the necessary forms and minutes required to make the conversion. Please telephone Robert on 1300CORPEX for further information. In our September issue we announced the establishment of the first national industry association of company incorporators. Membership is growing and recently the Attorney General has acknowledged receipt of the Committee's submissions on the impact of the provisions set out in the proposed second tranche of the Anti-Money Laundering and Counter Terrorism Financing Act and its Regulations on the company formation and compliance industry. In the next few weeks Judi White of Corporate Express as President of CBIA Inc, together with other delegates of the Committee will be discussing the issues raised in the CBIA Inc's submissions with the Senior Legal Officer of the Criminal Division of the Attorney General's Department and Austrac. For those of our clients who use our website to order companies online a recent enhancement means that you can now add a default registered office address. The default registered office address can be overwritten if required at any time. The enhancement has been positively received by some of our clients. We welcome your feedback as it is only through your comments and suggestions that we are able to continue to improve our products and services. To this end we have added a new button to our Client Menu titled 'Your Feedback'. The Client Menu appears after you have logged in to our website. We invite your comments and feedback on your experience with our services and team members. We have had a busy few weeks with the running of the first two seminars in our Business Development Series. 'Business Communication and Etiquette' presented by Deanna Lane of Braddock Lane & Associates, a specialist business consulting firm. Information on this seminar can be found at www.braddocklane.com.au and click on the leadership button. We have received very positive feedback from those who were able to attend these presentations. If you were unable to attend we will be happy to provide you with copies of the presentation notes. Our next presentation will be held in February 2009 at a date to be advised. 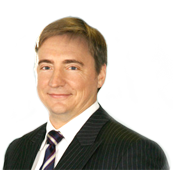 Our presenter will be Greg Vale of Vale Legal Pty Limited, accredited specialists in business and personal tax. Vale Legal Pty Limited supply and update our SMSF deeds, upgrades, pension implementation packs, deeds of change of trustee and now availableEcustodian deeds. Our office will be open for the purpose of company incorporations during business hours throughout the festive season and will reopen for all services on 5th January 2009. Accordingly please ensure any lodgements or payments due in this period reach us prior to 24 December 2008.